Toxicants in the Aqueous Ecosystem is essential reading for allAnalytical Chemists, Environmentalists and Toxicologists working inthe field. 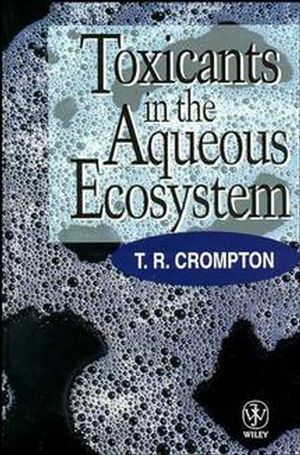 T. R. Compton is the author of Toxicants in the Aqueous Ecosystem, published by Wiley. Toxicity Evaluation--Animal Tissue Analysis Based. Effects on Creatures of Dissolved Metals in Freshwater andOceans. Effects on Creatures of Organic and Organometallic Compounds inWater. Pollution of Sea Creatures, Phytoplankton, Algae and Weeds.